There are lots of reasons to travel: work, self-discovery, to recover from work, and so on. By the same token, there are lots of reasons to be in the travel business. That’s especially true in 2018. International tourist arrivals increased by 7 percent in the last year, which is almost twice the rate of growth since 2010. The industry contributed over $7.6 trillion to the world economy in 2016. The data points to steady growth and high turnovers in the near future. Given what’s at stake, marketers in the travel niche are always on the lookout for new and improved ways to reach customers. Here are a few ways in which you can use push notifications for travel apps to increase visits and conversions. Deals are the most obvious way to make use of push notifications for travel promotions. The good thing is, they’re also an effective way to go about grabbing the attention of your audience. There are plenty of customers out there who are close to making a purchase, and all it takes to push them over the line is a discount. Push notifications can be tapped for a more sophisticated way to advertise deals. You could create an ad-hoc discount for a user who has shown intent to purchase a trip. Frequent flyers can be sent notifications about benefits for their loyalty to your brand. Messaging such as that can be automated to create effective customer engagement campaigns. It’s 2018 and lots of people travel to get pictures for their social media. There’s actual research to back that. A University of Georgia study showed that a “social return scale,” or how much engagement a trip can generate on social media, is an important predictor of how likely a person is to travel somewhere. What should the travel industry do with that information? Two things. The first is to leverage the “social media-worthiness” of a location with high-quality images. Rich push notifications are a great vehicle for these images since they can be timed in a way that conveys urgency. Secondly, travel apps should tap into online buzz in creative ways. User-generated content can serve as compelling social proof of what a particular location holds in store for visitors. We saw how abandoned carts are a major problem in the E-commerce industry. They may be an even bigger challenge to travel companies. According to research by SimilarWeb, people abandoned shopping carts worth more than $4.67 trillion in 2017. That is a lot of money. The travel industry has responded by retargeting users who abandon carts with ads. But banner blindness and ad blockers have meant the tactic is not very effective. 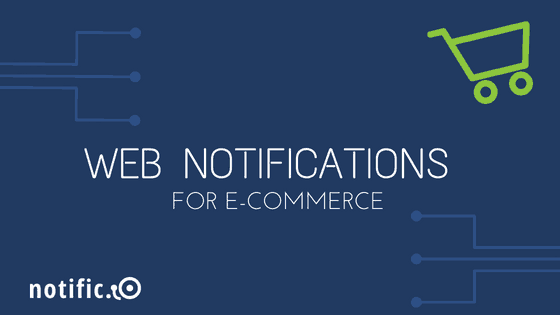 Push notifications for travel websites can help overcome a lot of the challenges associated with abandoned carts. For example, they can be automated so users receive timely messages reminding them about completing purchases. Push notifications require an opt-in, so you don’t have to worry about third-party blockers getting between you and your target market. We already saw how people like to share their travel experiences online after the fact. The Internet also plays an important role before the actual trip. To be more specific, the Web has become a go-to source for travelers researching options for their next getaway. In one study, 50 percent of millennials claimed to have found a new travel company while doing research on their smartphone. And just like that, you’ve managed to communicate effectively with a customer who has displayed strong intent in making a purchase. Those were just a few ways in which travel companies can leverage push notifications to drive sales. 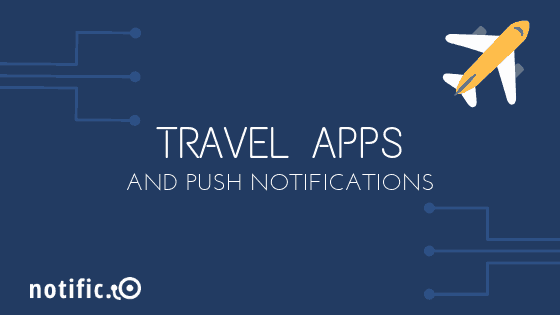 Looking to create a push notification system for your travel website? 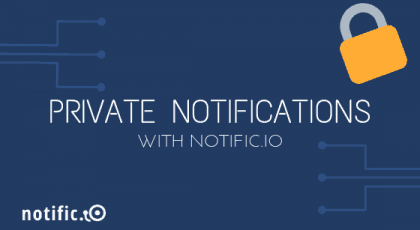 Visit Notific.io.